Araña means “spider” in Spanish. 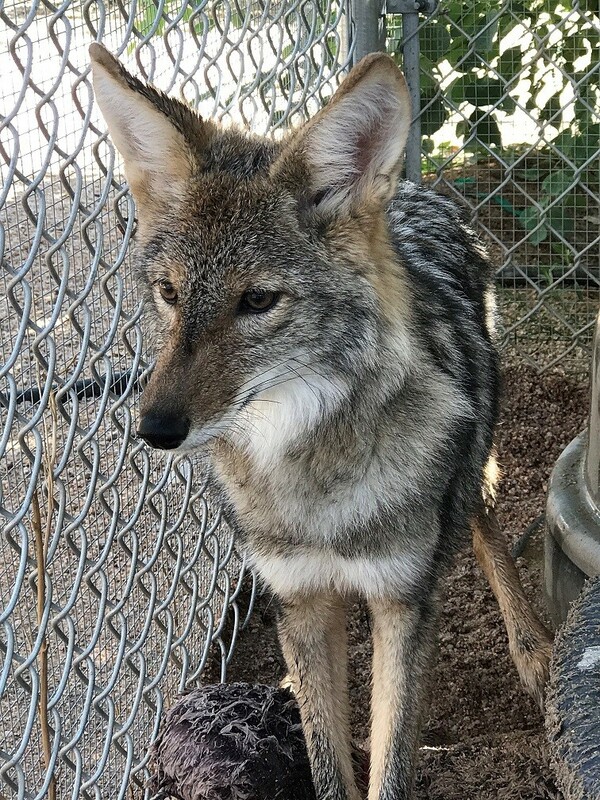 When a coyote pup came in at the beginning of baby season, her legs were so l-o-n-g she reminded us of a spider. She has since grown into her legs, although her name has stuck. Unfortunately, Araña is an example of another non-releasable baby this season… through no fault of her own or Southwest’s. 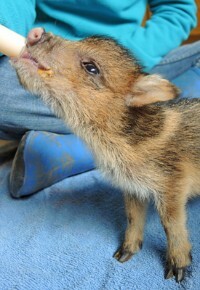 People might think that when they find a baby animal it is an orphan, or that something tragic has happened to the mom. This is a possibility; but more likely mother is off hunting thinking that her babies are safely hidden. If a baby is picked up, it doesn’t take long for the damage to occur. Imprinting is restricted to a brief, sensitive period. The imprinted baby does not identify with others of its species. In Araña’s case, she doesn’t know she’s a coyote. Imprinting is IRREVERSIBLE! Typically, baby animals are not on display, please join us for a tour today, before she grows up!